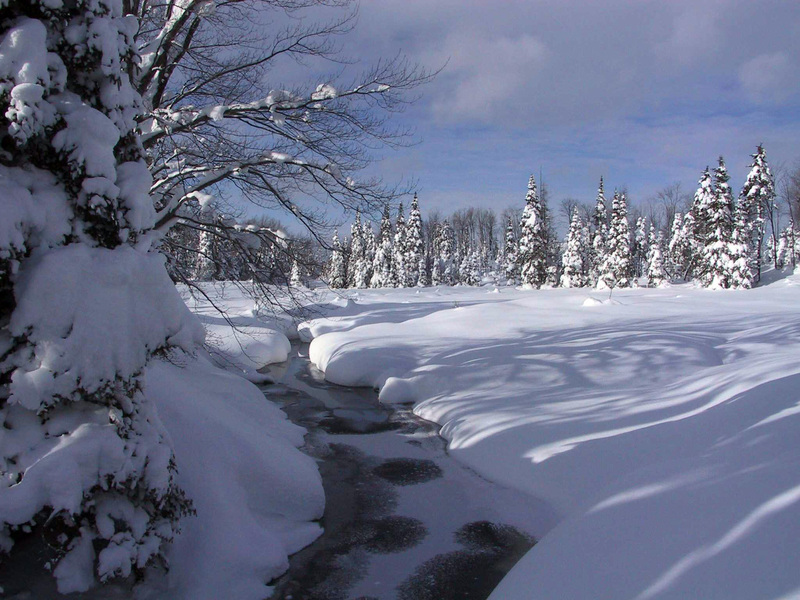 The Tug Hill Plateau is an upland region famous for its record heavy snows each year. The Plateau is west of the Adirondack Mountains and is separated from them by the Black River Valley. There are various trails for hiking, hunting, cross country skiing, snowshoeing and snowmobiling that go on for miles. Camping, canoeing, fishing and boating are common in this area as several rivers run through the region. Small villages in the region supply attractions such as flea markets, local produce stands, handmade furniture and crafts, pure maple syrup, restaurants and lodging. Bed and breakfasts are a big hit especially for snowmobiles and winter sports in the wintertime due to the abundance of snow. The Dry Hill Ski Area is also a part of the Tug Hill region. This resort offers tubing, skiing, snowboarding, lodging and instruction for beginners as well. The Tug Hill Plateau is the perfect place for nature lovers and backwoods fun. The opportunities for amazing experiences are endless here, and we encourage you to speak further with our agents about this area.